Q.2 SMTP stands for _________ . Q.3 What is meant by computer literacy ? Q.4 Which is considered a direct entry input device ? Q.5 Syntax errors and logical errors are collectively known as ___________. Q.6 Which programming language is used widely to quickly create Windows applications ? Q.7 Which of the following button will allow you to add, delete, or change records in your Data Source? Q.1 (4) All provides photographic outputs for printing galleys. Q.2 (1) SMTP- Simple Mail Transfer Protocol. Q.3 (2) Knowing what a computer can and cannot do. 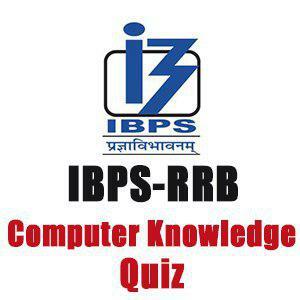 Q.4 (5) All are considered as a direct entry input device. Q.5 (2) Syntax errors and logic errors are collectively known as bugs. Q.6 (3) Visual Basic programming language is widely used to quickly create Windows applications. Q.7 (3) ‘Edit Data Source’ button will allow you to add, delete, or change records in your Data Source. Q.8 (4) ‘DOS’ floppy disk does not have Virtual Memory. Q.9 (2) All macro keyboard shortcuts include the Ctrl key. Q.10 (3) You can add a hyperlink to your worksheet by pressing Ctrl + K.